Want to try Meditation, but can’t make it to a class or group? This is the answer – buy one of my new CDs and you can meditate whenever is convenient for you! Only 5 minutes to spare? No problem! There are 6 short Guided Meditations ranging from about 3 to 12 minutes. Only £12. 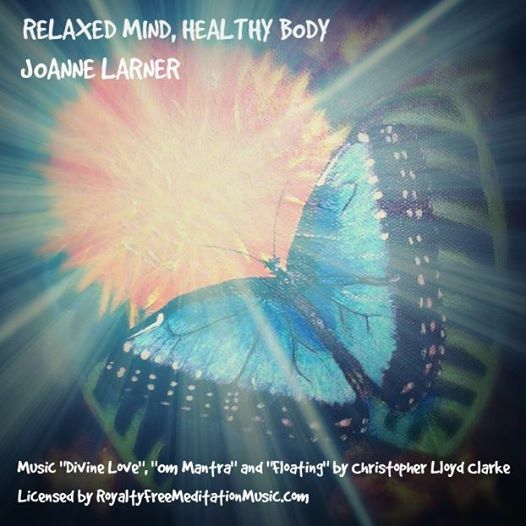 Email me on jrlarner@aol.com to order stating “Meditation CD” in subject line. I have just edited my web site and added an Events page and music! Check it out here! via 4 Seasons – Health and Wellbeing – Home. Balanced chakras mean a balanced person and enhance your well-being. To find out more about the Chakras, click here: Chakras for Beginners. The locations for our meditation is 4 Seasons Complementary Health Practice. Places limited so call or text Jo now on: 07956 524679 ! 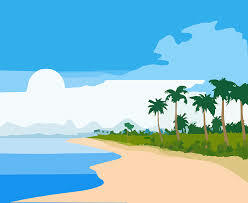 As an osteopath, I get many clients seeking help after having gone away on holiday! Why is that? Well, when you think about it there are many hazards involved in taking a holiday (or a business trip) which can damage your spine, sometimes seriously. Here are my top holiday tips to keep your back healthy! 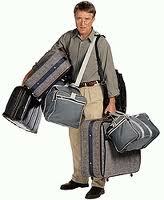 Don’t carry too much luggage at once!!!! The answer to this is try to carry loads equally rather than one heavy case in one hand – for example a rucksack is better as your load is distributed squarely in the centre of your back rather than on one side. Pulling is easier on your back than carrying, so use a trolley or pull-along case if you can, but take care not to swing it about too much as this can twist your back. Leave plenty of time so you can stand on the moving pavement at the airport rather than having to rush. If you have trouble with your back, think whether it would be worth hiring a porter to save you possible pain. If you are on a long haul flight, ensure you get up at least every hour to stretch your legs and keep your spine mobile. This also helps prevent a Deep Vein Thrombosis. Take an inflatable neck pillow to prevent your neck getting strained if you sleep on the plane. If you are driving, factor in comfort stops at least every hour for the same reason – immobility causes your spine to stiffen up and be more vulnerable. At the least stop and have a walk around. Share the driving if possible so you can have a break. I don’t mean anything saucy, but on holiday it is unlikely you will find a bed as comfortable as your own. This is difficult to address, but you could take your own pillow to help with your neck position – on your side, it should be neutral, neither flopping towards the bed nor being pushed upwards. The pillow should just fill the space between your shoulder and head. 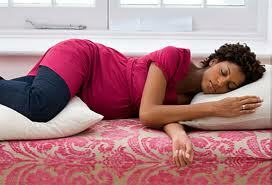 If you sleep on your back, have a lower pillow to avoid pushing your neck forwards. If you have a spare pillow you could put it under your knees if lying on your back or between them if on your side. And DON’T lie on your front – the worst position for your spine. Many people want to try out new things on holiday, such as water skiing, windsurfing, scuba diving, etc and even more will want to swim. All I can say is remember that your muscles and joints will not be used to new activities so it is even more important to warm up before you do any and stretch afterwards. Walking is good for your back, but don’t overdo it – work up to longer walks gradually if you are not accustomed to long distances. Take and use Nordic walking poles – they are fantastic! Swimming can also be good for your back as it is non weight bearing, but you should vary your strokes, especially if you tend to do predominantly breast stroke, as this can strain your sacro-iliac joints (the ones between your hips and your spine). 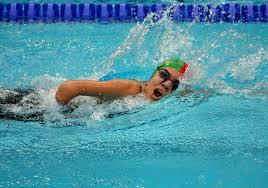 If you do use breast stroke wear goggles and try to duck your head under rather than extending your neck back. A FINAL WORD OF WARNING – NEVER DIVE INTO A POOL THAT IS SIX FEET OR LESS IN DEPTH – THERE ARE MANY CASES OF LIFE-THREATENING SPINAL INJURIES CAUSED BY THIS, NOT TO MENTION POSSIBLE PARALYSIS. Have a great, safe holiday! Many people think that meditation is difficult and takes years of practice. Of course, there are certain types of meditation which ARE more difficult, but anyone can benefit from the simpler types, such as guided meditation. This is when a leader “talks you into” a meditation, relaxing your body first and then taking you on a mental journey to…anywhere! The sky is not even the limit! For a more detailed analysis of the health benefits click here: 7 Health Benefits of Meditation. Great Stress – Busting Meditation Groups! Whatever your answer, you need a Stress – Busting Meditation Group! If you answered that you are anything from slightly to extremely stressed, Meditation can help you relax, sleep more easily and feel more chilled. It can also enhance feelings of well-being and promote a healthier state of mind and body. Even if you said you were not at all stressed, being a chilled out person, Meditation is perfect for you! You will take to it like a duck to water! Why don’t you come along to 4 Seasons Complementary Health on Saturday 21st June, at 1.30pm and share an afternoon with me and up to 9 others, travelling on a journey of peace and tranquility in your mind, guided by me!